I was an idiot when I went into Seminary, or grad school to us church of Christ folks. I am slightly less of an idiot now. Whatever happened in seminary was nothing short of a miracle to get me this far. Of the many accomplishments I can boast, the ability to read is now one of them! As I read through the essays in Reading Theologically I was reminded of lessons I learned in seminary, ideas about the way in which we approach texts, biblical or otherwise, that help us to get the most out of them. I bought this book because a friend of mine, Jimmy McCarty, wrote one of the essays, but I think its value goes beyond friendship and shameless plugs. “What’s wrong with the way I read?” One might ask. Everything. No, just kidding, but maybe some things. Think of how your favorite writer or preacher or professor got things out of a text, be it the Bible or a work of literature or anything else, and you just thought, “Wow, that’s insightful and/or authoritative!” Usually when I try to expound on these kinds of texts myself I feel less in control and way more like a bumbling fool, clumsily trying to show off the beauty of this precious object before I drop it and break it. That is because we lack the same kind of grasp of these texts as our admired authors do. I don’t understand texts as well as they do because I haven’t read them as well as they do. The chapters aim at presenting the basics of deep reading—the ability to really understand a text and to appropriate its ideas in a variety of meaningful ways. 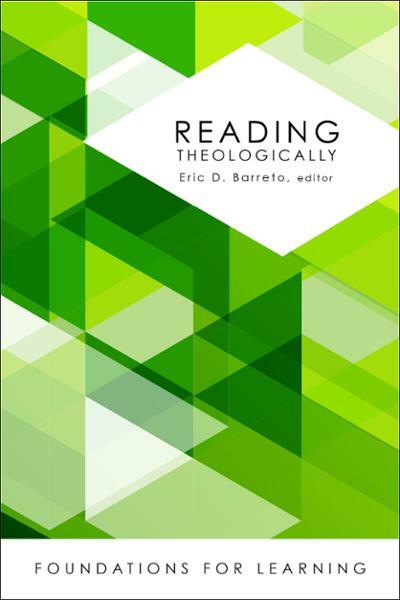 Reading Theologically is a book written for seminarians, but all of the essays have value for anybody interested in improving the way they read and appreciate texts of any kind. It stands among a group of other classic texts like Adler’s How to Read a Book and Fee and Stuart’s How to Read the Bible for All Its Worth, which it cites as supplementary reading. Many of the essays are written directly to its readers, addressing the hypothetical seminarian with statements and questions throughout. I didn’t dislike a single chapter, but the ones that stuck out to me were the chapters: ‘Reading Basically’ (Melissa Browning), ‘Reading Generously’ (Gordon C. Liu), ‘Reading Differently’ (James W. McCarty III), and ‘Reading Digitally’ (Sarah Brubaker). In the chapter ‘Reading Basically’ Browning aims to orient us to the many textures of reading we do not normally recognize, like the way our bodies, communities, and worldviews impact and inform the way we read. In the chapter ‘Reading Generously’ Gordon C. Liu tries to bring the reader into a more mature way of reading “texts” be they books with arguments or argumentative people. His provocation is to get us to appreciate a thing on its own terms and glean a much better understanding than if we began with a critical eye. In the chapter ‘Reading Differently” Jimmy McCarty (ahem, a friend of mine, ahem) contrasts three distinct readings of the same text. It is honestly not because I like Jimmy that I think this is the most valuable chapter here for churches. Rather it is because we have such a hard time seeing past our own readings in order to understand how someone else could read the bible so differently. Finally, Sarah Brubaker, in her chapter ‘Reading Digitally’ delves into the online world and the dynamics at work in the way we ‘read’ one another in the digital world. As I read through these essays I was reminded of the many things I learned to do in seminary. At times I was reminded of the many things I forgot how to do, and in some cases the many things I never learned how to do. As a whole this is a great starting place for people who want to develop the skills necessary to best understand the things they are reading.